Our mentors are friendly, experienced Clojure developers who will help teach you new techniques and tricks. Clojure is a dynamic programming language that targets the Java Virtual Machine (JVM). Designed as a general purpose language, Clojure combines the approachability of a scripting language with a robust infrastructure for multithreaded programming. Clojure is predominantly a functional programming language, and features a rich set of immutable, persistent data structures. Clojure is open source, and information about contributing to the language can be found here. Rich Hickey, the creator of Clojure, wanted a modern Lisp for functional programming, symbiotic with the established Java platform, and designed for concurrency; thus, Clojure was born. Good design is not about making grand plans, but about taking things apart. Programming is not about typing...it's about thinking. 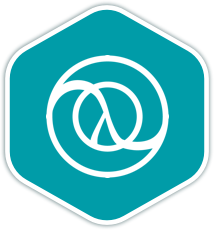 Once you join the Clojure language track, you will receive support and feedback from our team of mentors. Here are the bios of a few of the mentors of this track. After being a professional Java developer for around 10 years, I started to introduce Clojure at work to improve development speed. I believe in functional programming and immutability for software quality and better code. Around 3 year of Clojure/Clojurescript experience and working full stack with Clojure since 2017. Member of the Church of Emacs. Functional programming and Lisp enthusiast. Longtime developer, recent Clojurian. Ex-academic web developer who loves code review so much I'm volunteering to do more here! These are a few of the 76 exercises on the Clojure track. You can see all the exercises here. The Clojure Maintainers are the brains behind the Clojure Track. They spend their spare time creating interesting and challenging exercises that we can all learn from. We are incredibly grateful for their hard work. Here are the bios of a few of the maintainers of this track. Get started with the Clojure track. As with everything on Exercism, it's 100% free!